Every year around this time my husband asks me a question that I don't really have a good answer for... "What do you want for Christmas?". I'm not the type of person who has a whole list of wants. I rarely ever buy myself something that is not a real need. I mean, I do buy myself things, what I mean is that I don't normally splurge on myself. Anyone out there who has one income, a mortgage, and college tuition payments knows where I'm coming from. Whenever I go to the store I'm usually thinking about what my three kids NEED instead of "ooh, I want that....ooh I like that". Those things don't usually end up in my shopping cart. However, this time of year, I know the question is coming and I try to really think about what I'd like to have that I wouldn't normally buy for myself. And so, here are a few things that I thought of. I'm probably a little late joining the fan base of this show but we don't have cable. We only have an antenna to catch the local channels and PBS is one of those. On Sunday evenings I sometimes catch pieces of Downton Abbey while my hubby and son are watching football. Hubby has a habit of changing the channel during commercials and here lately he's been changing it to channel 2 and we all watch a few minutes of the show until the channel gets turned back to football again. I must say though I'm getting hooked. Sometimes on PBS.org they'll show episodes of the show online. I've watched a few of them and now I want the whole series. I want to watch it from the beginning. Oh, it's so good! This little rabbit is from Rosy Little Things. Her name is Miss Maggie and she comes as a kit to be made at home. I really wish I could just buy her already made but I guess half the fun is making her yourself. 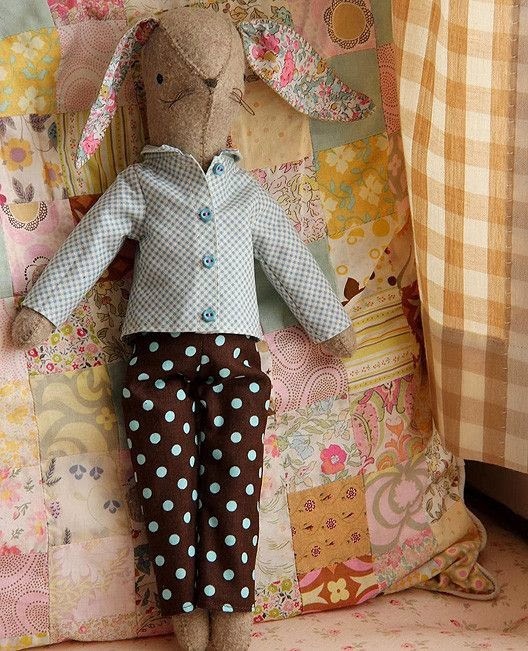 I have always loved bunnies. I have a few ceramic ones and I've also had a few real ones. I think she is so sweet. What I'm really looking forward to is knitting or crocheting her some clothes. These little bunnies are from Hiltos and are found on Etsy. 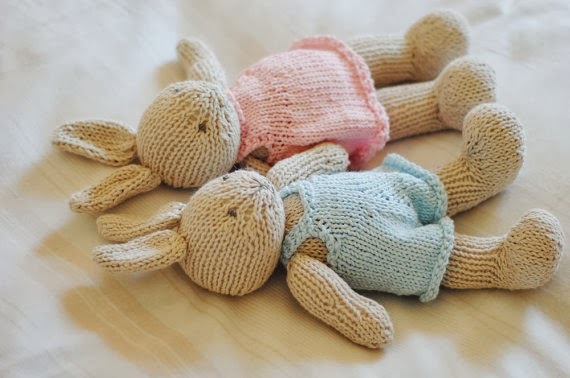 They are hand knit and are simply adorable. I think they would look so cute propped up on a shelf somewhere. And the fact that they are bunnies makes them even more irresistible to me. Precious! 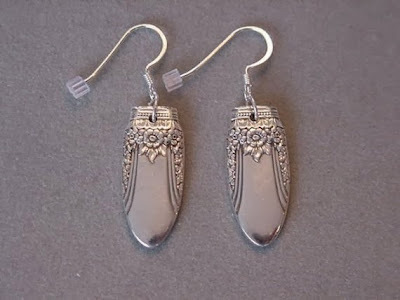 Theses earrings are a favorite of mine. 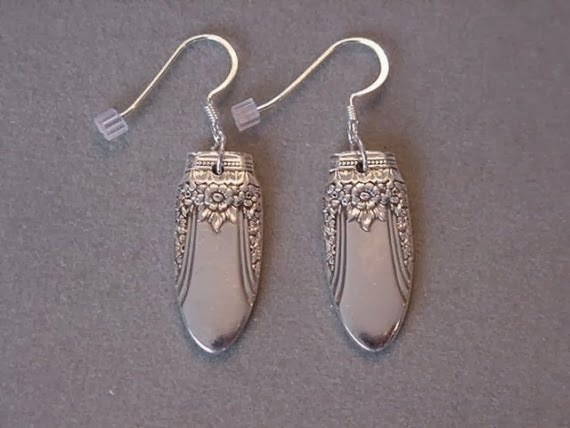 They are also on Etsy and are handmade from silverware. I've bought two other pairs of earrings from her over the years and I really love them. They are fun to wear. I wouldn't mind having a third pair. 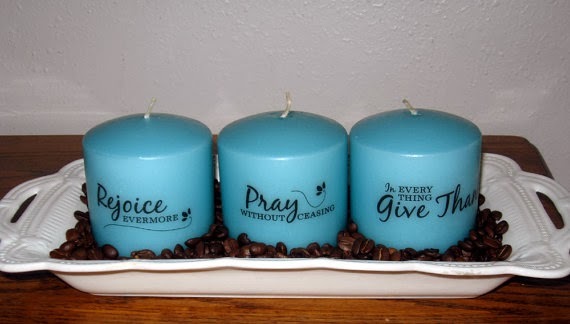 I really love this candle set. I've had this on my Etsy favorites for a while now. They would be so pretty on a coffee table or entry table. I love candles around the house and these are perfect because they also have scripture. I like things that have scripture on it. Did I ever tell you my husband teaches an adult Sunday school class at our church? Well, he does, which makes these even more appropriate. Is there something special you want for Christmas? Would love to know. Hope you are all doing well and staying warm. 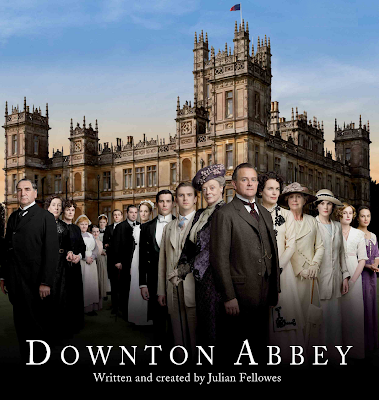 I'm a big fan of Downton Abbey ! And I'm loving watching the 4th season on Sundays night ! 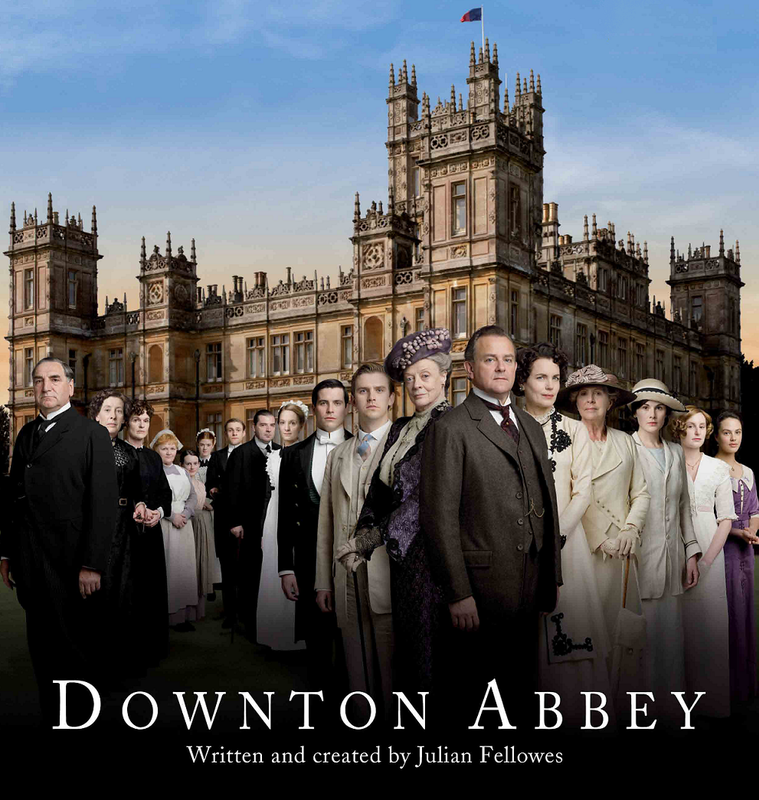 I like Downtown Abbey. I thought the first two seasons were really great, the third maybe a little less so, but I'm looking forward to the new season when it comes on in the US in January. You know, I don't have a lot of specific wishes; I buy things for myself throughout the year for my husband to "give" me on my birthday and Christmas because it's easier this way. He never knows what to give me, so I find it all myself. It's crafty stuff, books, cooking gear, stuff like that. What a wonderful list! :) Merry Christmas! Your list would fit with me absolutely perfectly. I keep an Amazon wish list going.... Mainly crafty in nature ! So now dear OH does not have to ask. Hope you get some of the lovely goodies. I love Downton Abbey (looking forward to the Christmas episode too) and everything on your list is lovely and would suit me very well too! I'm like you...buy something when I need it...it's always hard for me to come up with ideas for gifts when asked....it looks like you have given your husband a few great choices!! Love the earrings and candles! I am much like you, I mostly by things for the house. What I really wanted was craft supplies so I gave my husband a copy of my cart at Save-On-Crafts for him to choose from. I am going to check out each of the Etsy shops you mentioned.